I love my crabs! o_O"
- rip/claw + blood in the water (switch to next crab) blood in the water. - rip/claw (swich back to first crab) blood in the water (assuming it's still alive swich crabs again) blood in the water. - howl + surge of power. The first one I saw was a rare. It was a secondary to a Bloodbeak on the road to Zeth'Gol. I was able to fight it with a Fledgling Kingfeather (25), a Rose Taipan (24), and a Feral Vermling (19). Was a really easy fight, it's 'Blood In The Water' would often miss. One of the better looking crabs in game imo. 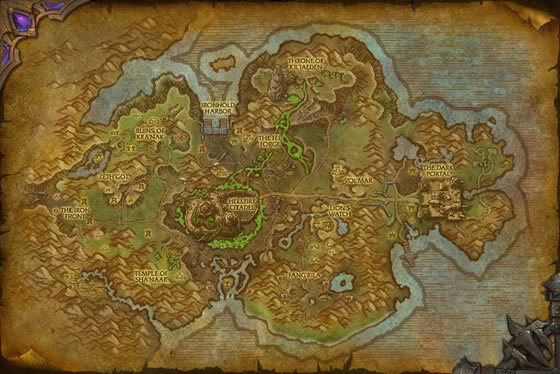 Try using this in the lead while lvl pets outside Horde garrison. Maybe not the ideal choice for Icespine "beast" but its actually as effective as my mechs are. Get 3 cuz as noted in last comment, easy to get rare as 2nd's in Tannan pet battles. Rotate them out each battle to avoid the 4 minute healing time or costly bandaids. Do Shell Armor>Rip>Blood in the Water. Often enough to kill the Icespine. Then I often do one more rip on the next enme pet to aid the incoming leveling pets. 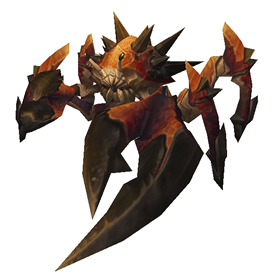 In hundreds of pet battles in Tanaan, I have never seen a non-rare Fen Crab as a primary or secondary. Sometimes this is a bit of a pain when they are backing up the legendaries, but not insurmountable. However, when they're ALL rare, it makes the aquisition of a rare seem kinda lackluster. I have to agree on the all-rare issue. Doing the Bleeding Hollow Campaign, I ran into at least a score of them and every one was rare (not that I am complaining too much, capturing rares is fine, IMHO). The often show up as secondaries to Cerulean Moths (with another flyer). I tend to go with Nether Faerie Dragon as my lead and rarely have to switch to another during the entire fight. Third battle in tannan jungle and captured a rare P/P tertiary off of a Bloodbeak north of Vol'Mar. They seem to be all rare?!?! I caught a rare H/H that was a secondary in my first Tanaan legendary battle against Direflame! Looking for a P/P now. Was I having a string of unusual luck, or are ALL the Fen Crabs on the southern shore always Rare? I even had, for the first time ever seeing it, three Rares in one wild battle. That being said, they aren't a hard fight; even the Tainted Maulclaw on the same beach can nearly be taken out solo by Ikky (thanks, HazelNuttyGames). These crafty crustaceans burrow under the mud to avoid being scooped up by larger predators.